Municipality of Powassan (Single Tier Parry Sound)Record Owner? Log in. The frrst houses were built on a bend in the river known as Bingham Chute because a fIrm called Bingham and Dey operated a lumber planing mill here. 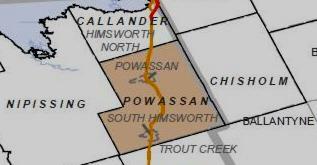 Have something to say about Municipality of Powassan (Single Tier Parry Sound)?